Most available cryptology books primarily focus on either mathematics or history. Breaking this mold, Secret History: The Story of Cryptology gives a thorough yet accessible treatment of both the mathematics and history of cryptology. Requiring minimal mathematical prerequisites, the book presents the mathematics in sufficient detail and weaves the history throughout the chapters. In addition to the fascinating historical and political sides of cryptology, the author—a former Scholar-in-Residence at the U.S. National Security Agency (NSA) Center for Cryptologic History—includes interesting instances of codes and ciphers in crime, literature, music, and art. 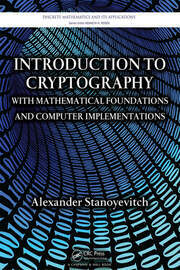 Following a mainly chronological development of concepts, the book focuses on classical cryptology in the first part. It covers Greek and Viking cryptography, the Vigenère cipher, the one-time pad, transposition ciphers, Jefferson’s cipher wheel, the Playfair cipher, ADFGX, matrix encryption, World War II cipher systems (including a detailed examination of Enigma), and many other classical methods introduced before World War II. The second part of the book examines modern cryptology. The author looks at the work of Claude Shannon and the origin and current status of the NSA, including some of its Suite B algorithms such as elliptic curve cryptography and the Advanced Encryption Standard. He also details the controversy that surrounded the Data Encryption Standard and the early years of public key cryptography. The book not only provides the how-to of the Diffie-Hellman key exchange and RSA algorithm, but also covers many attacks on the latter. Additionally, it discusses Elgamal, digital signatures, PGP, and stream ciphers and explores future directions such as quantum cryptography and DNA computing. With numerous real-world examples and extensive references, this book skillfully balances the historical aspects of cryptology with its mathematical details. It provides readers with a sound foundation in this dynamic field. What If Enigma Had Never Been Broken? References and Further Reading appear at the end of each chapter. Craig P. Bauer is an associate professor of mathematics at York College of Pennsylvania and the editor-in-chief of Cryptologia. He was the 2011-2012 Scholar-in-Residence at the National Security Agency (NSA) Center for Cryptologic History, where he wrote several papers for NSA journals, gave a large number of lectures, and made substantial progress on a second book focused on unsolved codes and ciphers. He earned a Ph.D. in mathematics from North Carolina State University. "Secret History is a highly recommended purchase to be considered by those with a serious interest in both the history and the ‘nuts and bolts’ of modem-day codes and ciphers. lt is both a work of pedagogy, along with its various exercises linked to individual chapters accessible via a linked website, and an interesting and exciting ‘read’ for anyone with a serious interest in the subject of today’s cryptology and its history." "The book presents a wonderful story of the development of this field. It is written more like a novel than like your traditional textbook, but it contains all the necessary material to also serve as a textbook. In fact, the author has created a companion website that provides sample syllabi and problems if the book is to be used in the classroom. … This book is enjoyable. I would recommend it to anyone interested in learning more about the topic of cryptology. It is especially interesting to someone like me, an algebraist who uses cryptology as a meaningful response to why topics in pure mathematics that do not seem to have obvious applications are still very important to study." "Every once and a while a book appears that has a significant impact on the field of cryptologic history. David Kahn’s The Codebreakers and F.L. Bauer’s Decrypted Secrets are two such books. Secret History now joins that collection. 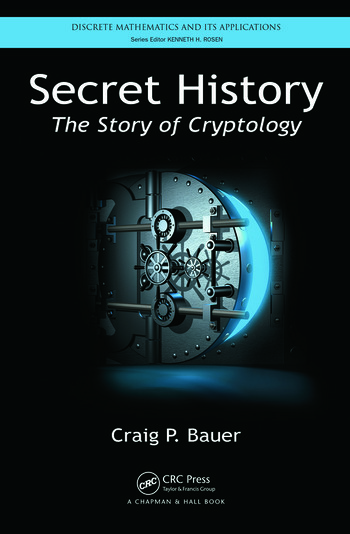 … Secret History could be used as a textbook for a general education class that explores the history of cryptology (and ignores many of the mathematical sections) or for an upper-division class for mathematics or computer science majors that follows the historical evolution of cryptology (and pays attention to the mathematical sections). … What would appeal to a general audience is the engaging writing that reflects Bauer’s interest in and enthusiasm for all aspects of cryptology. … Bauer has merged cryptologic history with the mathematical foundations of cryptology in a correct, understandable, and enthusiastic presentation. Secret History is an excellent choice for a historian of cryptology, a teacher of cryptology, or anyone who wants to get a glimpse of cryptology." "… fascinating read that provides a combination of cryptographic history and the underlying mathematics behind it. … For those looking for a comprehensive and decipherable text on the history of cryptography, this is one of the best on the topic in many years. Kahn’s book laid the groundwork that made a book like this possible and Secret History: The Story of Cryptology is a worthy follow-up to that legendary text." "… one of the most engaging storytelling adventures on the evolution of secret keeping. In the first part of the book, Bauer (York College of Pennsylvania; formerly, scholar-in-residence, National Security Agency) discusses the inception of secret codes in Viking messages and substitution ciphers in the era of Caesar, as well as cryptography in works of fiction such as Edgar Allen Poe’s short story "The Gold Bug." Of course, Bauer also covers the famous Bletchley Park and its enigmatic star, Alan Turing. The second part focuses on current uses of cryptography and ends with a discussion of quantum cryptography. The book will challenge anyone with even a passing interest in cryptography to try to resist developing an intense passion for it. The math behind the systems described, while present, is never obscured by the fascinating setting in which it was developed. This is the way in which cryptography, one of the most difficult applications of discrete mathematics, was meant to be learned, with real-life cloak-and-dagger intrigue. Summing Up: Highly recommended. All levels/libraries." "… looking at the table of contents it appears EXCELLENT. The field is covered thoroughly and comprehensively and in a very up-to-date manner. It is by far the clearest and most comprehensive of the books dealing with the new cryptology, including of course the classic ciphers and some of the important historical ones such as Enigma and Purple, but also the newer systems such as DES and public-key cryptography. The history seems accurate and the book provides what I was unable to give cryptology—a mathematical underpinning to it all. … All of us in the cryptology community are grateful to you for it."